Liberal High held their fall homecoming Friday at the Gary Cornelsen Sports Complex. 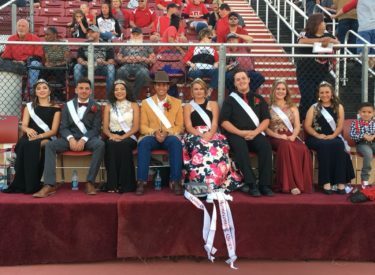 Josh Diazdeleon was named homecoming king and Hayley Parker was named homecoming queen. The queen candidates were Shae Miller, Rebecca Irby, Alicyn Carey, Alondra Brito, and Hayley Parker. The king candidates were Saul Valles, Josh Diazdeleon, Javier Bojorquez, John Aung, and Arron Hardin.